SmartScreen is aimed to protect your PC from unsafe content. If it finds explicitly dangerous file SmartScreen will simply block it for you. Also, SmartScreen checks file popularity, in other words, it treats as safe only highly popular files. 1. Click More info when you see the following message. Note: It says "Unknown published", it does it only because this app version rank is relatively low, please do not worry about it. Followup screen will give you true information about the publisher. 2. Click Run anyway when you see the following message. 3. 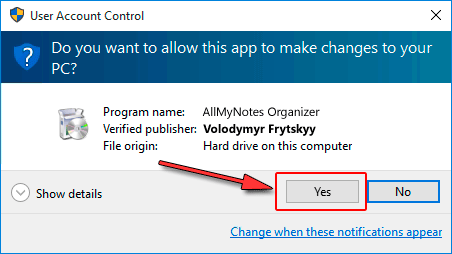 Click Yes when you see the following dialog box. After the steps above, you will start to install our software. If you need further assistance please contact our customer service.